This is not the first time that travelers like me have been stranded, lost or changed plans cause of reasons unforseen. There was this time when we were coming back from Lahaul Spiti, and got caught in a landslide, resulting in us camping out for 3 days across the banks of River Beas! Or the other time when we expected a trek to be over and done within 4-5 hrs, but all thanks to the rain gods, it took us 7 hrs to reach to the top and we had to sleep at night in a cave amidst squealing rats and ice cold weather. The last time I’d been to Darjeeling in the beautiful clear and magnificent backdrop of an insanely clear sky, we could see The Sleeping Buddha. Hoping for the same, and our undying love for the Himalayas, we thought this was the best and the closest location, considering our flights to Guwahati had been already booked. What we didn’t anticipate, rather the country even, was things were going down real bad in West Bengal, especially Darjeeling and Kalimpong due to the political unrest between WB government and local Gorkhaland administration. Even as we drove from New Jalpaiguri to Darjeeling, we saw huge posters welcoming Mamta Banerjee, CM of West Bengal, who was in town for a commemorative function. The landscape was much different now than the last time I was there in the early winter of 2011! The clear sky was replaced by the brimming clouds kissing mountain tops and engulfing The Sleeping Buddha in its enchanting glory. The plans to take a walk in the town, sipping coffee over breakfast atop terrace cage Keventers viewing Kanchengunga were replaced with sipping coffee at the Rodhi Resort viewing the monsoon clouds of the Queen. Instead of walking in the town and the crowds, we were fortunate to take a stroll across the magnanimous landscapes with backdrops such as this. Being in a destination, staying in the hotel room is itself an experience of its own. A staycation replaced by a vacation all thanks to circumstances. Beyond Darjeeling and a couple of days of such magnificent views, we were in for another treat when we moved on to Kalimpong… Even though getting there was as scary as being in a climactic scene in a thriller. Driving in the rains at midnight to get to The Sinclair’s Resort in Kalimpong was a hellish but needed experience. And then of course, we were in for a treat! With great views, amazing food, luxurious and spacious rooms with little connectivity to the world, we had all the time to ourselves, mostly relaxing enjoying views like these, spending some time watching movies together, reading books, writing some and of course sleeping, a whole lot. For those who live luxury, and are in Darjeeling or Kalimpong Sinclair’s is the perfect getaway! One of the best to indulge in especially if you are crave for utmost comfort. Not to mention the other activities you may indulge in such as swimming, fitness and spa! All in all it was a great staycation outside the hustle and bustle of Mumbai, one that I wouldn’t mind taking up again. 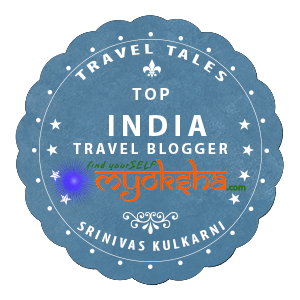 This entry was posted in Travelogues, Stories and Life on August 6, 2017 by srinistuff. The view from your Villa is just awesome. Scenic beauty brings peace to mind. Indeed… Thanks so much. Have you ever been to Darjeeling? or India? Pictures are awesome. Weather is so beautiful there. It is a place where you sit for hours just looking at the beauty of nature. Thanks for sharing.